ShoreView Invests in MI Windows and Doors, Inc. 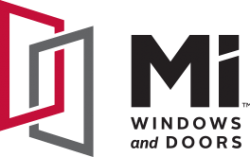 The Partners of ShoreView Industries are pleased to announce an investment in MI Windows and Doors, Inc.
MI Windows and Doors, Inc. (“MIWD”) is one of the nation’s leading manufacturers of vinyl and aluminum windows for both the new construction and remodeling markets. MIWD serves numerous customers across a broad range of distribution channels, including lumber and building material (LBM) distributors, specialty one-step distributors, retailers, and in-home window dealers. Headquartered in Gratz, PA, MIWD also has production facilities in Carrollton, TX, and Prescott Valley, AZ. ShoreView’s investment supported management’s buyout of MIWD from its parent company, JT Walker Industries. ShoreView partnered with existing shareholder Pete DeSoto, MIWD management, and Newbury Partners on the transaction.